Thorne Plumbing, Heating, and Air Conditioning offer installation and maintenance of Lennox’s line of Indoor Air Quality Systems. Humidifiers add moisture to heated, dry air, making the air feel warmer and helping to reduce dry skin and static. Plus, they give you the ability to lower the thermostat and remain comfortable and save you money by doing so. Dehumidifiers remove moisture from sticky air indoors. They can help maintain a balance of indoor humidity levels to minimize the potential for mold and other pollutants. Germicidal lights are a powerful maximum-intensity ultraviolet light and can help drastically reduce the concentrations of microorganisms such as mold, bacteria, and mildew. Ventilation is practical and a good idea for tightly sealed homes. 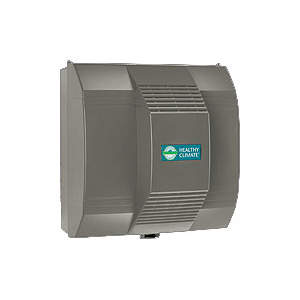 These products replace stale, contaminated air within your home with fresh outside air. Allowing ventilation will greatly enhance your overall indoor air quality. Filtration should be attached to your furnace or air handler. These filtration systems combat pollution indoors by capturing allergy-inducing particles like pet dander, mold, and pollen. An air purification system is attached to the furnace or air handler. Air purification systems remove and destroy contaminants before the air is recirculated into your home. Did you know that a number of health problems are caused by poor air quality? So many of the pollutants floating around in your home’s air can cause ailments and aggravate asthma and allergies. Having an Indoor Air Quality System by Lennox installed by Thorne Plumbing, Heating, and Air Conditioning will be beneficial to everyone in your household, including those who have never suffered from allergies. Give us a call for more information.